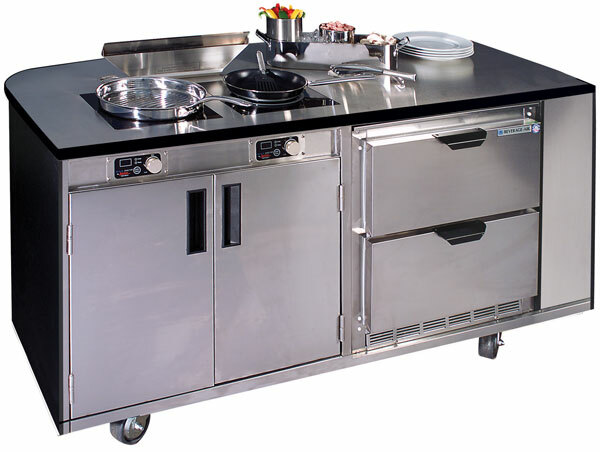 Spring USA proudly introduces the newly designed Mobile Culinary Station! 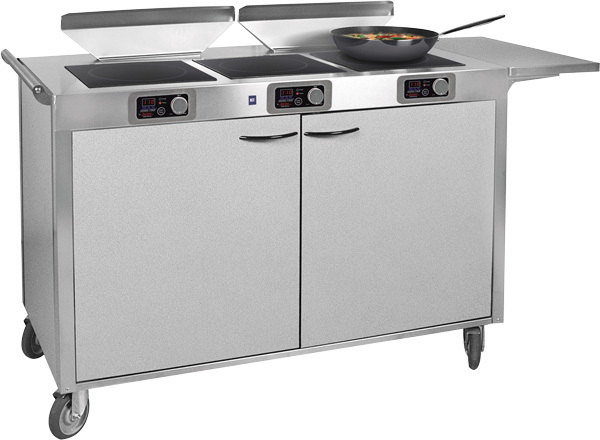 Created with convenience and air quality in mind, this unit serves as a self-contained, mobile induction cooking station, with refrigerated drawers for easy replenishment. 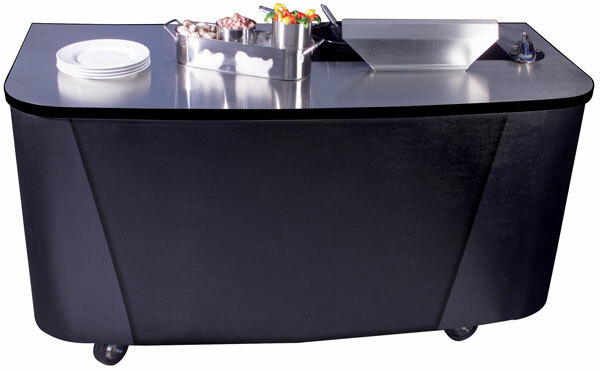 MCS Unit features stainless steel surfaces and a durable exterior wrap. 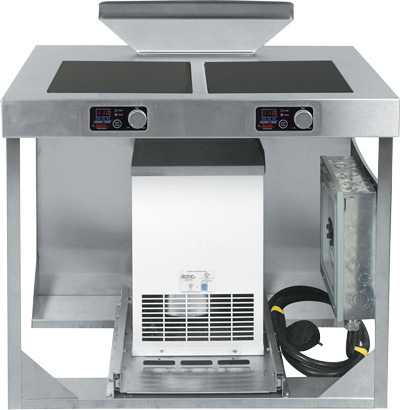 Shown with two (2) SM-181R, 1800 Watt, MAX Induction Ranges, AF-350 Ventilation System & Refrigerated Drawers with hermetically sealed compressor, finned evaporator & condenser. Drawers accept standard food pans! Contact your Spring USA Sales Representative for additional color options. Choose either a Mobile or Built-In Induction Cooking Station. These systems provide high-speed heating with quiet, efficient air filtering to remove grease laden vapor and odors. This unit slides in between your existing cabinetry. Attach cabinet doors to the front of the unit, and you’ve got a perfect station for food prep or finishing.